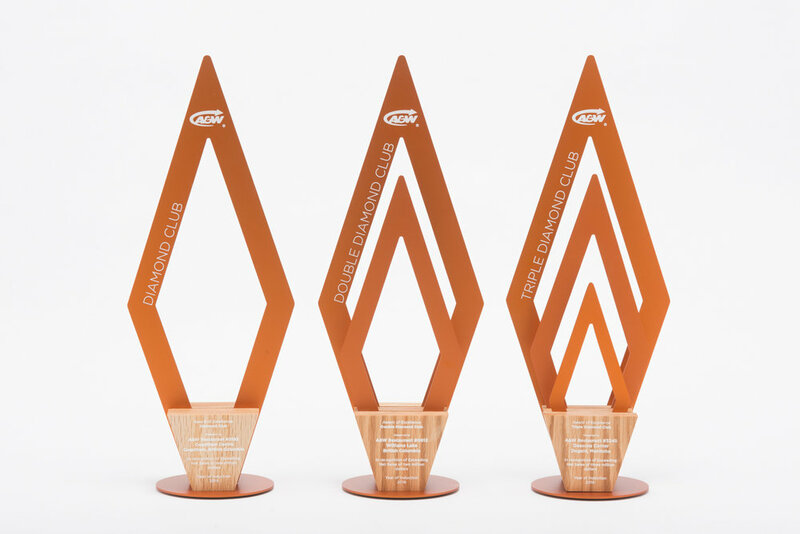 We designed this collection of awards for A&W Canada. Each award style represents a different achievement but, they all relate to each other by using the same design language (materials and typography). Creating a cohesive collection of awards is always a challenge but, we were able to deliver and exceed the clients expectations. 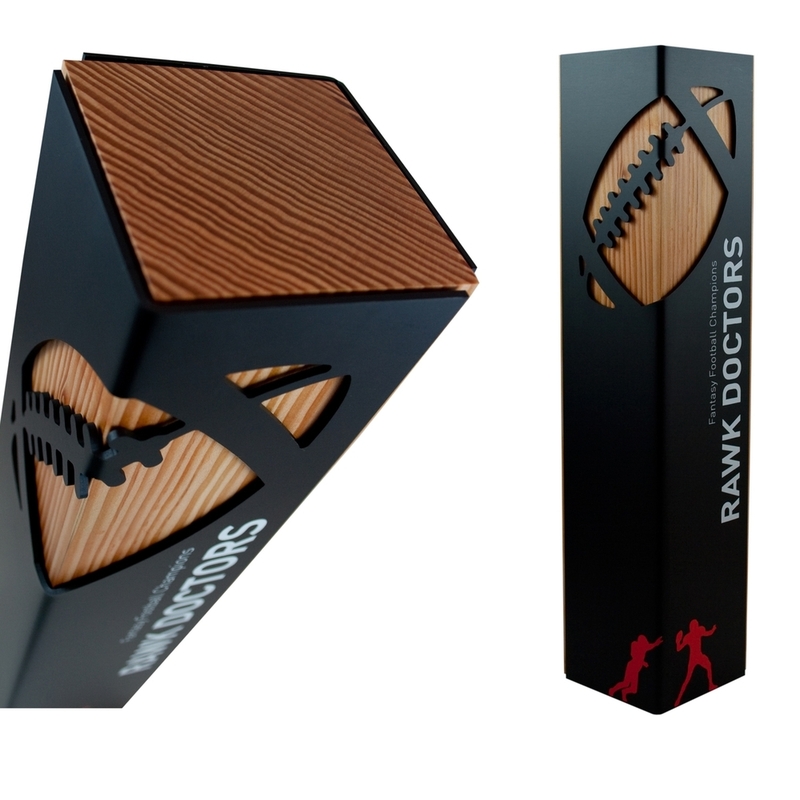 These awards were all custom designed and handcrafted by us in our Vancouver location. Anodised aluminum (marine grade) and solid Red Oak hardwood. Anodising and clear Danish oil.